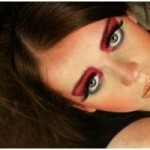 80s eye makeup is all about using color to express your personality! To understand 80s eye makeup, it helps to know the underlying factors that drove it. These eye makeup styles have a “hard” edge that is quite futuristic, or “space aged” looking. To see what this decade’s makeup was all about today, look no further than Lady Gaga as she often sports the cosmetic look and fashion styles of this decade. 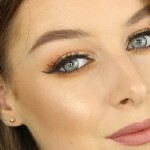 Gather All of Your Tools: Make sure you have all the eye makeup products you’d normally use to create a typical cat eye, plus a vivid shade of eye shadow to use as a highlighter. Begin the Cat Eye: You can use black, brown, or even purple eyeliners and shadows to create your cat eye. 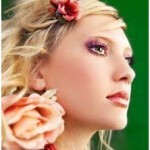 If you tend to have oily lids, sweep a flesh toned or light colored shadow all over the lid. Then, hold the eye taunt as you create the “cat” eye with your pencil. Be Bold: This is not the time to be timid. Don’t be afraid to draw an exaggerated, angular eye (sharp angles are prevalent in 80s makeup). Follow up with a dark eye shadow if need be. Add Color: Now it’s time to add your pop of color and it should be bright, if not shocking, color. Think bright green, orange purple or even red. Sweep this color from the upper part of your eye lid to the brow bone. The use of bright color cannot be overemphasized; it’s this color that signifies that you are wearing and 80s look. Color is literally the stamp of this decade. If it’s bright, it’s right. The rest of the face can also look very “80s” with the addition of blush (and lots of it) and shiny red lips. 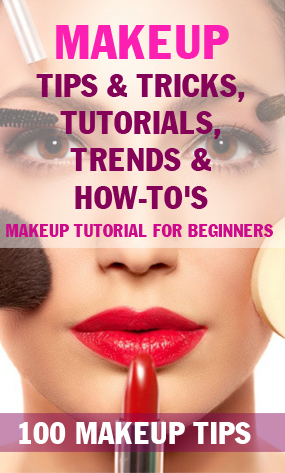 If you keep the rest of the face simple (minimal lips and cheeks) know that you’ll be sporting the “updated” version of the 80s look, and if you add these cosmetics then you’ll be showing a complete 80s makeup face.